Norovirus (Norovirus) under a microscope! Norovirus’s penchant for travel can make your vacation an unforgettable experience. Originally called the Norwalk virus because Norwalk, Ohio was the place of the first confirmed outbreak. 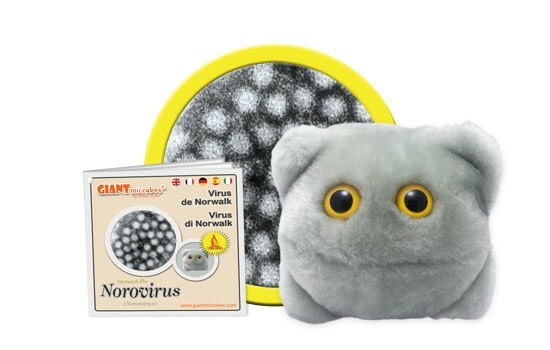 Norwalk-like virus turned into Norovirus for simplicity. People contract Norovirus by getting the virus in the eyes, mouth, or nose, which is caused by contact with infected people or surfaces and contaminated food or water. Cute gift for pediatricians! Inflammation of the stomach/intestines, causing pain, nausea, and diarrhea. Dehydration is often a result. People typically get better within 1-3 days. It cannot be treated with antibiotics because it is a viral infection. Infected people should drink fluids to prevent dehydration. 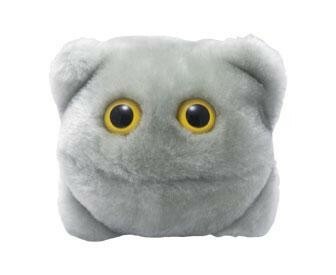 1972: The agent causing this stomach inflammation, the Norovirus, was discovered. 1968: Norwalk, Ohio had the first confirmed Norovirus outbreak. Cruise ships are known for the spread of Norovirus, and there are many incidents yearly. April 2015: >100 people on a cruise ship got Norovirus. Nicknames: Sometimes Norovirus is called ‘food poisoning’ or ‘stomach flu’ even though other things can also cause food poisoning, and Norovirus is not the influenza (hyperlink) virus. Widespread: It is the most common cause of acute gastroenteritis and foodborne illness outbreaks in the U.S. with about 21 million illnesses a year and 570-800 deaths. Cruise Ships: Norovirus spreads rampantly on cruise ships because of the close quarters. Watch out on the water, or you might get sea-sick. Famous People Who Had Norovirus: Bret Michaels canceled a concert in Pennsylvania because of a Norovirus infection.